Welcome to Sicily and the Valley of the Temples. Welcome to Agrigento and Racalmuto. Welcome to B&B Tra I Frutti, a typiccal sicilian country house with swimming pool, in a area that lies between the hills and the sea, set amid olive trees, citrus groves and vineyards, a unique place where you can relish the fragrance of almond flowers. We welcome you amid the fruit and to the countryside, where the weary traveller can rest and unwind after a sunlit day spent discovering beaches, hamlets perched beneath imposing towers, timeworn churches, winding country roads and mountain pathways. Here you are in a rural setting at just a few minutes from the township of Racalmuto with its restaurants serving countryside delicacies, its succulent pastry stores and of course a full-range of amenities: banks, fuel stations, pharmacies, newsstands, grocery stores, and a medical aid center. There is a choice of five rooms and you are free to select one which best suits your personal taste in accordance with their colour, fragrance, and your favourite fruit. In the villa of two storeys there is a terrace with sweeping views of the surrounding area and turret solarium from where you can admire the winding hills sprinkled here and there with farmhouses and their crops until your gaze rests upon the sea in the distance. 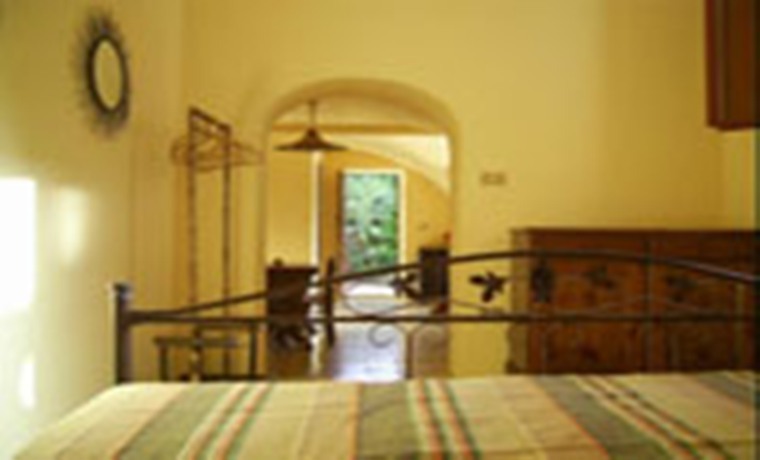 Here in the villa you will find the olive and almond rooms, each with its private bathroom, internet access, a reading room with the writings of many Sicilian authors as well as volumes in French, English, German and Spanish. You will find a room with a wide-ranging dvd and cd selection, so that you may watch a movie or listen to music of your choice. There is of course a kitchen and a veranda where, if you wish, you may enjoy the delights of a Sicilian breakfast. The veranda overlooks the swimming pool and hammock space these are ideal places where you can freshen up, sunbathe, unwind, chat or simply meditate. 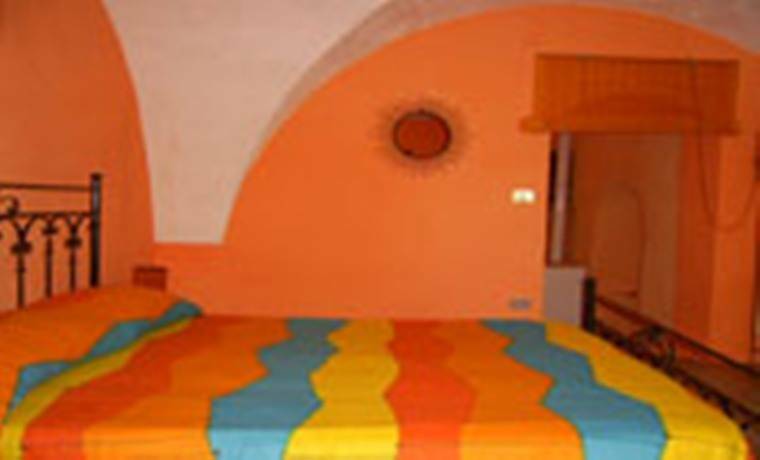 In the stone-walled house you will find the lemon orange and pear rooms: these are apartments each consisting of a bedroom, a living-room with kitchenette and a bathroom. The structure has a parking area for guests. A basket for guests who may wish to pick fruit. There is also the opportunity to take part in various agricultural events. 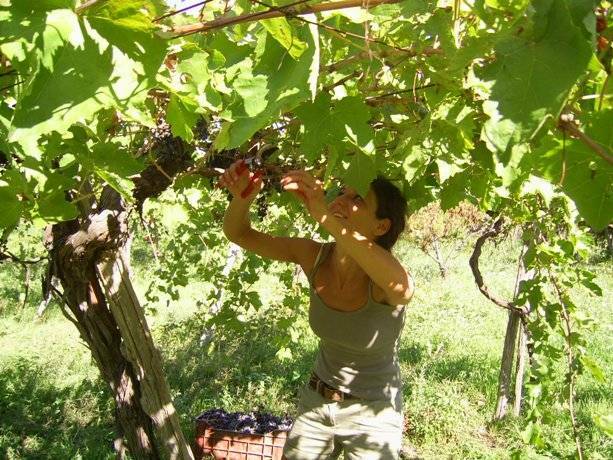 Assistance in the planning of excursions and helpful tips for you to discover the most Guided tours of local fruit farms and vineyards. 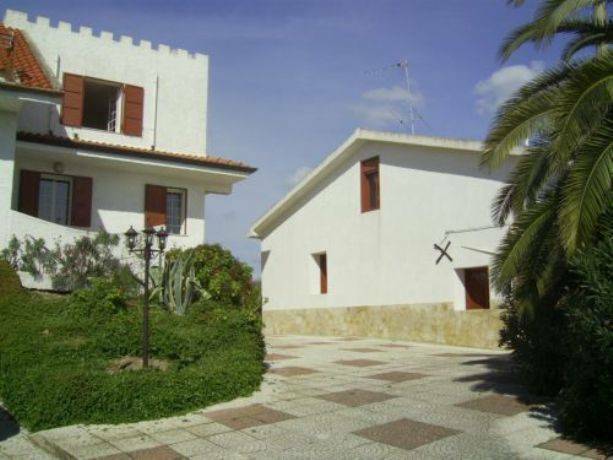 There are five bedrooms, each with a television, air-conditioning and private bathroom. I's a country house near to the highway 640 for easily reaching the most beautifull surroundings. An ideal place to relax . Take the Autostrada A19 toward Palermo and take the Caltanissetta exit. Continue on Statale 640. After 35 Km you meet a first exit to Racalmuto, but you have to continue on SS640 until you reach the second exit to Racalmutoat the 26 Km of SS640. At this exit you can find the signal "bed and breakfast". Exit and continue on the left toward Castrofilippo direction following "B&B Tra i Frutti" signal. After 500 metres you are arrived. Take the Autostrada A19 toward Catania and take the Villabate exit. Follow SS 121 and continue for 118 Km until you reach Agrigento. You take SS 640 for Caltanissetta., you meet a first exit to Racalmuto but you have to continue on SS640 until you reach the second exit for Racalmuto at the 25 Km of SS 640. At this exit you can find the signal "bed and breakfast". Exit and continue on the right toward Castrofilippo direction following "B&B Tra i Frutti" signal. After 500 metres you arrive at "B&B Tra i Frutti"
Follow the coastal route on SS 115 via Noto, Rgusa and Gela until you reach Agrigento. At the roundabout of the Valley of the Temples take SS 640 for Caltanissetta., after 15 Km you meet a first exit to Racalmuto but you have to continue on SS640 until you reach the second exit for Racalmuto at the 25 Km of SS 640. At this exit you can find the signal "bed and breakfast". Exit and continue on the right toward Castrofilippo direction following "B&B Tra i Frutti" signal. After 500 metres you arrive at "B&B Tra i Frutti". At the roundabout of the Valley of the Temples take SS 640 for Caltanissetta., after 15 Km you meet a first exit to Racalmuto but you have to continue on SS640 until you reach the second exit for Racalmuto at the 25 Km of SS 640. At this exit you can find the signal "bed and breakfast". Exit and continue on the right toward Castrofilippo direction following "B&B Tra i Frutti" signal. After 500 metres you arrive at "B&B Tra i Frutti".